In a statement, Norwegian Cruise Line said the passenger - named by newspapers as Kay Longstaff - was in stable condition and taken ashore to Croatia for additional treatment. "We are very happy that the individual, who is a UK resident, is now safe and will soon be reunited with friends and family," the company said. 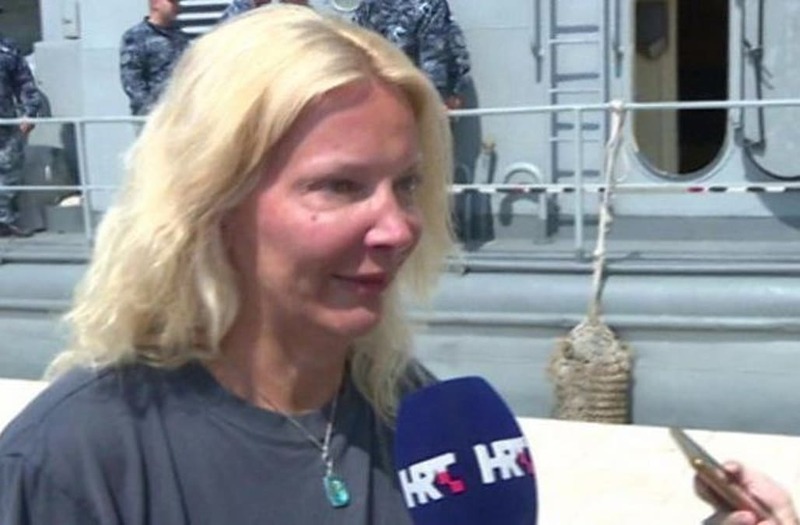 In a brief statement to local broadcaster HRT, the woman, who identified herself as Kay, 46, said she was sitting at the back of the ship's deck when she fell. "I was in the water for 10 hours, so these wonderful guys rescued me," she said, adding, "I am very lucky to be alive." A port authority captain in Pula, Croatia, where the passenger was hospitalized, told HRT that authorities were still investigating the fall but said her chances for survival were high because the sea's temperature is "very warm." Lynne Cox, a long-distance swimmer and author of "Open Water Swimming Manual: An Expert's Survival Guide for Triathletes and Open Water Swimmers," said in an interview that being able to relax and gently tread water is crucial to surviving a stretch that long in the water. Whether the passenger was hydrated and how much she'd eaten before the fall were also key. "If you are in going to do a long or cold swim, you need to feed along the way," Cox said. "Her resolve must be really substantial," she said. "To be that far, to be alone, to be in the middle of the sea and keep hanging on there for 10 hours — she must have had a lot she wanted to live for."